Two nuno felt wraps, same raw materials but different pots! Merridee and I had great fun tracking down a big copper pot in California last September. 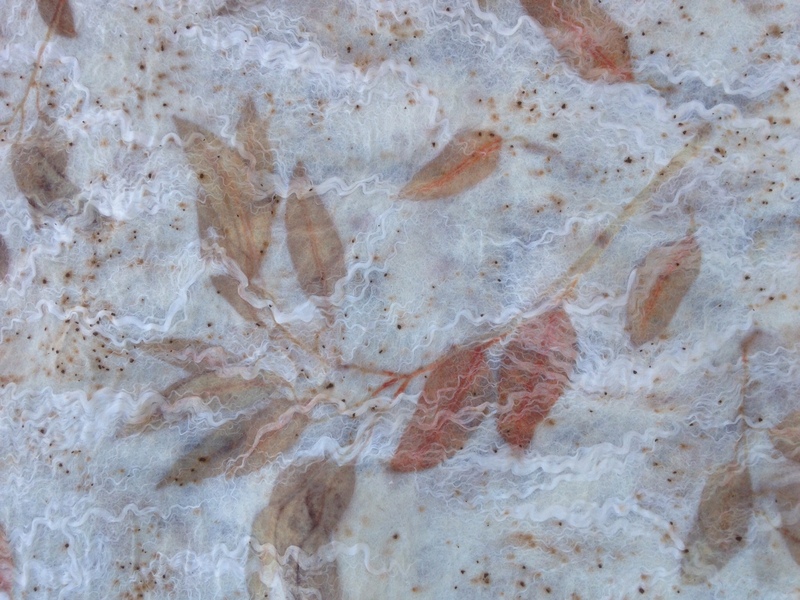 Finally we sourced a lovely one at an antique shop in Auburn, both of us were interested to see how it affected the results of our natural printing and dyeing during the felting retreat we facilitated at Lake Tahoe. The colours of the vegetation appear softer when simmered in the copper so yesterday I borrowed a fantastic antique jam pot from my buddy George, I'll have to source one myself now as we are both very happy with the way this wrap turned out. Here's a close up shot for you to look at, please bear in mind that the wrap needs to be rinsed out and ironed still but you can see the peachy tones and softness of the colours I think. The second wrap was bundled with the same two varieties of eucalyptus and the same black tea, the only difference was the addition of some onion skins and the fact that the pot was aluminium. Check out how dark this is, it was simmered for exactly the same amount of time, amazing! In both pieces as they dry the bamboo sings out against the wool, I'll take photos of them when they're finished and ironed. 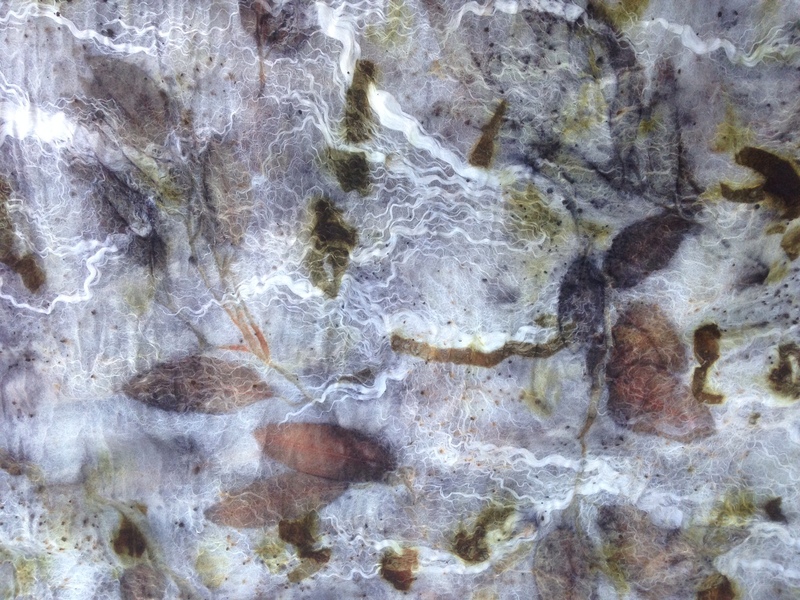 This entry was posted in Felt, Natural printing and dyeing, nuno felt, Showcase 2014 and tagged bamboo, felt wrap, natural printing and dyeing, Showcase by Nicola. Bookmark the permalink.